Nuclear Fusion: is it still worth investing on it in an age of cheap renewable energy? ITER TOKAMAK, looking carefully, at the bottom right circled in red, a human in a yellow jacket. The probable size of a magnetic confinement fusion reactor is huge and it's at the core of most of its problems. Nowadays few businesses would invest in conventional nuclear power stations. In the US, subsidies of 100% or more fail to attract private investments for a nuclear fission power station, the classic form of nuclear energy. So, the perspectives for a revival of nuclear are not rosy. But there exists another form of nuclear energy, thermonuclear fusion, the one that powers the stars. Fusion, the sticking together of light nuclei such as hydrogen, is a nuclear reaction distinct from fission, where heavy atoms, such as uranium, break apart. Fusion energy research has been pursued since the WWII years in national labs and universities all over the world. Despite all efforts, though, so far it has not provided a clear indication of being feasible. What are the current perspectives of this form of energy? There are two ways to burn hot nuclear fusion fuel: make it react very quickly before the burning gas flies away, the way an H bomb works, or use a magnetic field to insulate the plasma from the reactor walls. The bomb method can be replicated in a series of micro-explosions in the lab, but the rate has to be high enough to produce relevant electric power and this poses huge unsolved problems. A giant laser fusion experiment in the US, the National Ignition Facility, has demonstrated how difficult and expensive is to produce a micro-explosion once a day. Imagine doing that hundreds of times per second for years. Even with a budget provided by the military for weapon development, laser fusion is far away from pointing to a credible commercial reactor. Therefore, from the inception of fusion energy research, most efforts have been devoted to magnetic confinement of steady state hot plasmas. After 70 years of trying, almost everybody in the field has concentrated on one favorite scheme which goes under the name of TOKAMAK, a Russian invention. The tests performed so far indicate that the minimum size of a potential reactor core will be large, the size of a large building. ITER, a TOKAMAK presently under construction in France to demonstrate the feasibility of fusion, is of this size but, apart from the size, it is so expensive that its construction is requiring the financial contribution of all developed nations on earth. The doughnut-shaped ITER reactor core is 30 meter in diameter, 20 m high. It is an extremely complex device, much more sophisticated than an equivalently powerful nuclear fission reactor and roughly 10 times the volume. Its core weights more than 30 thousand ton, just the floor of ITER uses 200 thousand cubic meters of concrete. Size is the most obvious drawback of nuclear fusion: the large size makes it impossible to mass produce these reactors. This factor gives a considerable advantage to the competition, made of comparatively small generators: gas turbines of 50-100 MW, efficient windmills of a few MW, photovoltaic solar panels of less than 1 kW. These generators can be transported by truck and the speed of their industrial development has been inversely proportional to the power of an individual module. The cost of electricity for photovoltaics and wind originates mainly from the cost of capital invested in the generator and its ancillary equipment, just as it's the case for Deuterium-Deuterium fusion where the fuel is nearly free. Natural gas power stations burn inexpensive fuel and have the lowest generator capital cost of all, but are CO2 polluters, nowadays a serious drawback. We must specify that the fuel for fusion reactors is nearly free only in the case of the Deuterium-Deuterium fusion. The current idea, instead, is to use the easier reaction of Deuterium with Tritium, the latter being another radioactive isotope of Hydrogen. It is a very rare isotope that can be bred in the same TOKAMAK which is burning it, but not in sufficient quantity to keep these reactions going. This is another issue of ITER-like reactors, for the time being swept under the rug. Because of its large size and complexity, it's very hard to imagine that a TOKAMAK fusion reactor could be less expensive than a conventional fission reactor and detailed present-day estimates put the cost of the kWh to more than 12 ¢, just for the capital cost, and before knowing all the details of a working reactor. Instead, electricity commercialized from unsubsidized photovoltaic and wind generators is presently sold at prices between 2 and 7 ¢/kWh, depending on location, and there is room for more savings. These sources are intermittent, fusion is not, but for a renewable-dominated electrical production, the additional cost of energy storage would entail a fraction of the cost of energy production. This is a purely economic consideration: renewables are already less expensive than fusion energy. There is a second very relevant drawback linked to the large size of the fusion reactor: its development time. ITER will experiment with real fusion fuel not earlier than 2035 and will realistically carry on the experiments in the following 10 years. It implies that this experimental phase, not a prototype reactor since ITER will be incapable of producing energy, will have taken roughly 50 years. To make a dent in the world electricity production one should implement thousands of 1 GW size reactors. How long of an experimentation phase should one consider to reach this goal from when ITER will have answered the initial round of questions? Maybe 100 years, i.e. a couple of experimental phases. 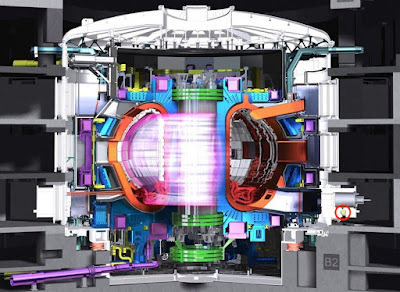 To summarize, on top of a plethora of unresolved, even unknown, design issues of technical nature, magnetic fusion poses problems linked to the huge size of the TOKAMAK reactor core: a large kWh cost and a very long development time. For the ones sensitive to the "cleanliness" of fusion I also have to mention that ITER at the end of its life will present a bill of around 30,000 tons of heavily radioactive waste without having produced a single kWh. Magnetic fusion is not clean: its fuel and the products of the reactions may be modestly radioactive, but the machinery itself is not. Why a magnetic fusion reactor has to be big, physically very large? Thermonuclear fuel has been proven to burn in the H bomb, but it can burn also non-explosively, think of the sun. For any fuel to burn in steady state, the energy released in the volume of the burning matter equals the energy escaping from it, heat produced equals heat lost, the energy balance equation. The rate at which energy is produced grows in proportion to the density of the fuel, the number of atomic nuclei per unit volume. The reactor power density increases with the density of the reacting particles. The plasma in a reactor is a gas of atomic constituents roughly in thermal equilibrium, its kinetic energy content is characterized by a pressure. If the TOKAMAK plasma has to be contained by a magnetic field, the field pressure has to be substantially higher than the plasma pressure. The magnetic pressure produced by the external superconducting magnets at the plasma location is limited at present to less than 200 atmospheres by the mechanical strength of the magnets. Improvements are foreseeable on the magnets front and they would be helpful, but the magnet materials are themselves subject to the laws of nature of solids: these improvements will be marginal. Like in an ordinary gas, the plasma pressure is proportional to particle temperature and density. The fusion temperature has to be in the region of hundreds of millions of deg C hence, because of the magnetic pressure limit, the particle density turns out to be pretty low, a million times less than the molecular density of the air we breathe. The result is a low power density. On the other side of the reactor power balance equation, the energy lost by the plasma is dictated by plasma turbulent motions and the size of the device. Turbulence has been experimentally demonstrated to be present at a significant level in all magnetically confined plasmas of thermonuclear interest, just like with water in a canal. The analogy is close, for a given incline the water flow in a canal is constrained by an irreducible turbulent drag, with negligible dependence on the canal construction details. This is the case also for energy confinement in a thermonuclear plasma, it's dominated by unavoidable turbulent fluid motions. But a reacting core large enough to reach power breakeven always exists because its volume (energy production) to surface (losses) increases with its size, a purely geometric consideration. The sun, even without a magnetic field, is certainly large enough for breakeven. These are the reasons why the tokamak reactor has to be very large. The size required to maintain the large core temperature needed for the plasma to fuse. This is the main factor making nuclear fusion expensive and very hard. As things stand, present-day renewable technologies are considerably less expensive than a potential nuclear fusion reactor - even assuming it would work as expected. My work in fusion coincided with the Reagan electric sector deregulation when something similar happened between natural gas and coal-fired power stations. The development of large aviation jet engines made possible efficient, inexpensive, factory produced, electricity generators which proved to be impossible to beat and coal power plant investors went bankrupt to allow for the American industry to take advantage of the newer, less expensive, technology. It was then too early for the wind and photovoltaic revolution but now they are here to make nuclear fusion obsolete before it has been proven to work. 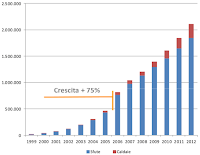 Giuseppe Cima has been employed in various capacities by fusion research labs and Universities in Europe and the US for most of his professional career: Euratom Culham UK, ENEA Frascati and CNR Milan, the Fusion Research Center at UT Austin. He published more than 70 peer-reviewed papers in this field, mostly about EM waves for plasma diagnostic and heating, magnetic configurations, turbulence measurements. After losing faith in a deconstructionist approach to fusion, he started an industrial automation company in Texas. He is at present retired in Venice, Italy, where he struggles to protect the environment, conserve energy and teach technology and science. The oldest stories of human lore have to do with cutting trees and with the disasters that followed as a consequence. 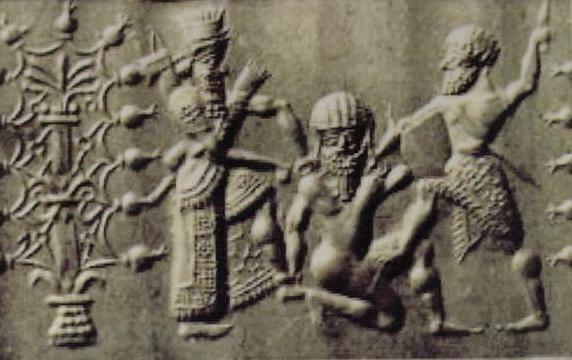 Above, legendary Sumerian heroes Gilgamesh and Enkidu kill the guardian of the trees, Huwawa (image source). Several thousand years afterward, we don't seem to have learned much about how to manage our natural resources. I expected this to happen, perhaps not so soon and not in this form, but it had to come. With the era of cheap fossil fuels coming to a close, what's left as low-cost fuel is wood and that had to be the target of the next wave of exploitation. Naively, I was thinking that the rush for wood would have taken the form of desperate people moving toward the mountains with axes and chainsaws, but no, in Italy it is coming in a much more destructive way. It is a government decree approved on Dec 1st, 2017 which allows local administrations to cut woods, even against the will of the owners of the land. It is the start of a new wave of deforestation in Italy, probably an example that the rest of the world may follow in the near future. It is a long story that goes back to the roots of Italian history. Already in Roman times, deforestation was a major problem, believed to have generated the marshes still present in Italy in modern times. During the Middle Ages, woods returned. Sometimes, the regional governments took good care of the forests (as, for instance, in Tuscany) but a new cycle of deforestation came with the political unification of Italy, in 1861. At that time, the Piedmontese government treated the newly acquired lands as spoils of war, razing down ancient forests without any regrets. The story is reported in a novelized form by the British writer Ouida, in "A village commune." (1881). Gradually, with fossil fuels becoming more and more important - first coal, then oil and gas - trees ceased to be the crucial economic resource they had been before. In the 1920s the Italian government engaged in a serious reforesting policy whose effects are still visible nowadays. After the end of the war, in 1945, the Italian economic system prospered mainly on industry. For the local administrations, the main source of revenue was concrete and that led to the paving of large areas with buildings of all kinds, but the woods in their mountains were left more or less in peace. With agricultural land left abandoned, in many places woods advanced and covered new areas. Then, there came the 21st century and with it the increasing costs of fossil fuels. Prices have been going up and down, generating occasional screams of "centuries of abundance." But, by now, nobody sane in their mind can miss the fact that the old times of cheap fuels will not come back. 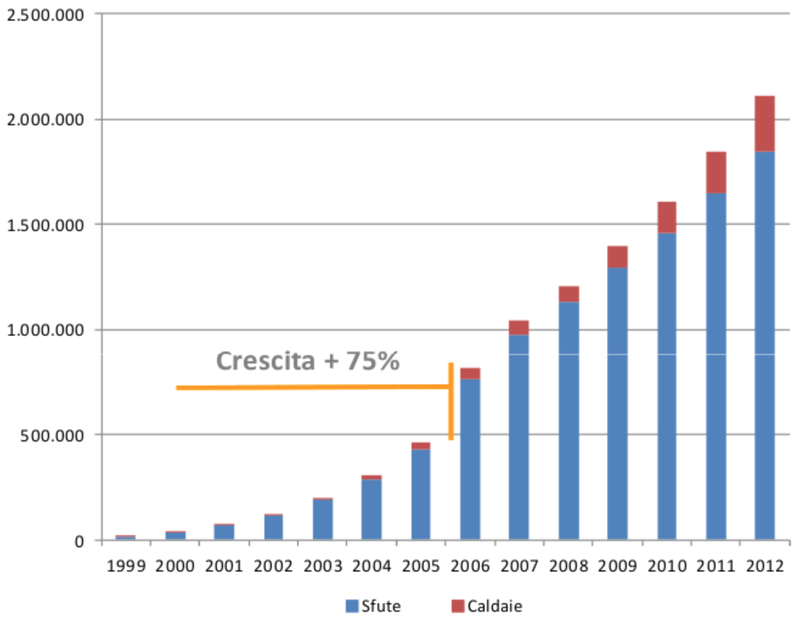 One consequence has been the diffusion of pellet-fueled stoves in Italy, often done in the name of "saving the environment." (figure on the right, source) Theoretically, wood pellets are a renewable fuel - but only theoretically. If they are consumed faster than trees can regrow, they are not. And the appetite of Italy for pellets is insatiable: Italians consume 40% of all the pellet burned in Europe while Italy produces only about 10% of the wood it burns. With the housing market stagnating, someone was bound to realize that the only remaining source of profit from the land would come from turning forests into pellets. The consequence is the just approved evil piece of legislation. All in the name of the universally agreed concept that a tree is worth something only after it is felled, the new law gives to local administrations the power to cut everything, when they want, as they want. Let me leave the description of this disaster to my friend and colleague Jacopo Simonetta, writing in a recent post in "apocalottimismo". [The law] says that if the landlords refuse to cut the woods they own, the local administrators can occupy - even without the landlord's agreement - the land and leave the "productive recovery" (that is the cutting of the trees) to companies or cooperatives of their choice (which means, "the friends of their friends"). And not just that. The companies which obtain the grant to cut the trees will provide economic compensation to the city administration in a form that the administration will define. For example, new streets, new parking lots, new street lighting, or anything the mayor will deem necessary for his or her electoral campaign. Or in the form of money, this time to the regional government, in order to "cash in" something - as people say. It is easy to see here the hidden hand of the pellet industry, but there is - or at least there will be - much more. 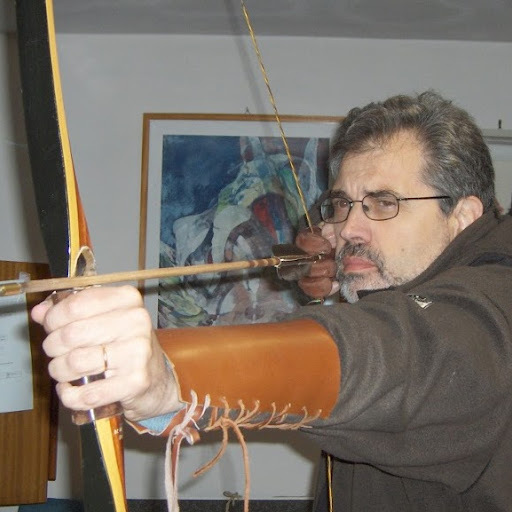 Anyone who has a minimum knowledge of how the administrations of small towns in Italy work can understand how this law is a formidable incentive for every administration to install a gang of local notables who will organize squads of henchmen financed with the cutting of other people's woods. And those who, like me, have 40 years of experience in these matters know that the line that separate a squad from a Fascist squad (a "squadraccia") is thin and it tends to become thinner and thinner as the power of the state fades away. From my personal experience, I can completely confirm Simonetta's analysis. Even in the theoretically civilized Tuscany, the local administrations have little or no resources to enforce the law outside urbanized areas. What had saved the woods, so far, is that at least the national laws were rather strict in protecting trees and that provided at least a veneer of protection. Now, the central government has abandoned even the pretense of governing the territory, leaving it all in the hands of the local bosses. It is normal, the collapse of civilizations comes first and foremost with the collapse of the central authority. You may wonder whether anyone in Italy is speaking against such a horrible law; shouldn't the government protect people's property, including woods? In practice, just a few of the usual suspects have been protesting: environmental associations, a few experts, university professors, and the like - all people without any real power in the Italian society. From everybody else, especially at the political level, the silence has been deafening. It is understandable: fighting this law implies going against an unholy alliance of 1) local politicians looking for funds for their re-election, 2) people living in the countryside, desperate for a revenue of some kind, of any kind, 3) the pellet industry, seeing a good market developing, and 4) city dwellers who want to warm their homes. And if you are thinking of defending a forest you believe should not be destroyed, you don't need to live in places where mafia rules to understand that "they" know where your children go to school. Does that mean that we need an authoritarian government to keep alive the world's forests (and with them, humankind)? Perhaps, but the problem is more complex than that. An authoritarian government is expensive - it needs a police, an army, a bureaucracy, a propaganda system, and more - all things which need resources to be maintained. In times of collapse, an authoritarian government cannot survive better than a democratic one. Right now, we are clearly moving towards more and more authoritarian forms of government, but that doesn't seem to be leading to a better management of the ecosystem. Rather, these governments seem to be more adept at sponsoring the plunder of whatever is left. What is needed for keeping the ecosystem alive is a stable economic system, which is exactly what we don't have and we won't have in the foreseeable future. So, it looks like we have to go through collapse. Then we'll re-emerge, perhaps, wiser than before. In the meantime, we have to put up with the limits of human nature. Photovoltaics? Who in the world would want to spend money on such a silly idea? The "Solar Roadways" plant in Idaho in an image from the "EmphaseEnergy" site. The performance of this expensive plant is abysmally low and, with the best of good will, I can't see it as anything but a propaganda stunt to denigrate renewable energy. Not the only example of this strategy. I have to confess to you one of my darkest sins: I read the unnameable blog by Anthony Whatever "What's down with this" and, occasionally, I even enjoy it. Probably, this sin of mine is condemning me to Hell, where I will be punished by having to spend eternity trying to teach thermodynamics to an audience of neoclassical economists. Sometimes, however, the unnameable blog is worth reading. For instance, in a recent post, Will Eschenbach engages in an all-out attack against the "solar roads" plant in Idaho. The post is appropriately titled, "The Road to Hell is Paved with Solar Panels" and, in it, Mr. Eschenbach criticizes the plant mainly in terms of the cost of the energy produced. He says that it produced 246 kWh in one year. Comparing with the total cost of the plant, said to be more than 4 million dollars, then, clearly, it is a bad deal. Eschenbach has a point here, although, for fairness, we must note that the plant was never conceived as a commercial plant, it is a prototype or a demonstrator which involved a cost in terms of the development of special panels for a specific task. It is unfair to pretend from a prototype to generate a profit. The question is, rather, is the performance of the prototype good enough to be worth reproducing it at a commercial scale? Clearly, the people of solar roadways have grand plans. In their site, they speak of paving all the roads in the 48 contiguous states and produce something like 15,847 Billion Kilowatt-hours per year, which is three times the total consumed today. There is a little problem, though: how efficiently could that be done? In their site, nowhere you can find the rated power and the actual performance of the prototype system. But, with some work, we can estimate these parameters. First if all, they say that they installed 30 panels of 44 W each, The number is confirmed by counting the panels on the pictures of the plant. So, that makes a total rated power of 1.3 kW. Then, the data at http://pvwatts.nrel.gov/pvwatts.php tell us that a zero-tilt, 1.3 kW fixed solar plant in Idaho is expected to produce about 1600 kWh/year. Comparing this result with the 246 kWh reported by Eschenbach, we see that the plant has big problems: it produces less than 20% of what it should produce. There are various reasons that may explain the poor performance of a PV plant. In this case, it seems reasonable to me that a plant located in the middle of a parking lot - with people walking on it - produces much less than a standard plant would do. So, Eschenbach is correct in noting the poor performance of the plant - nobody would ever want to use these devices for anything more than an expensive toy in a parking lot. But, in the end, that's not so much the point. The point is that the idea of "solar roadways" just makes no sense. Do you really want trucks to run over solar cells? I mean, think about that for two seconds and you can realize how silly the idea is. Maybe you could find this object aesthetically pleasing, but the shape is wrong for a PV plant and its performance is abysmally low. You may also be interested to know that the cost of the whole plant, which includes a fancy hydrogen storage system, was about a million Euros for a total rated power of 13 kW. A better ratio of cost to power than the "solar road" in Idaho and, at least, this one is not supposed to have trucks running on it. But a big waste of money anyway. So, how come that people engage in these silly ideas? Hard to say, there surely holds the principle that Eschenbach paraphrased in the title of his post "The road to hell is paved with good intentions." But, in addition to that, I can't avoid thinking that the people who promoted the idea and financed these plants did that with the specific idea to pass the message that PV is expensive and useless (*). As usual, propaganda rules the world. (*) Note: this statement doesn't imply that the people behind the Idaho plant (Scott and Julie Brusaw) are evil or trolls paid by the fossil fuel industry. They may well be true believers in solar roads. Ufortunately, their work is being exploited by the enemies of renewable energy and they are helping to disparage the ideas that they try to promote. Propaganda is an opportunistic beast, extremely dangerous and always hungry. If you can't see it, it can kill you. Propaganda, for instance. If you never took this test before, spend two minutes on it before reading the text below. The "selective attention" test you see above was developed in 1999 by Christopher Chablis and Daniel Simons. It shows how people have difficulties in perceiving the most obvious things when they are focused on something that engages their attention. Often, it has been seen as just a sort of psychological parlor game, but it has a deep significance. This selective attention phenomenon may well describe the current world's situation. Our aging leaders seem to be so fixated on their manhood - and unsure about it - that they try to reassure themselves by firing missiles around. And, in doing that, they neglect everything else. But it is not just a question of aging leaders, the whole Western world shows evident signs of senility at the societal level. Most of us in our daily life are fixated on details of no relevance and miss the important issues that threaten our very existence. So, we are missing the gorilla which is climate change, as well as other gorillas which go under different names: ecosystem collapse, resource depletion, overpopulation, widespread pollution, and more. Some of these gorillas are recognized and described by the scientific community, but the public and the leaders alike fail to hear the advice they receive. Even more worrisome is the possibility that there exist gorillas which not even scientists can detect. As an example, we are daily being exposed to a cocktail or toxic metals resulting from industrial activity. We know that each single metal, alone, doesn't (normally) reach concentrations in our bodies so high to be deemed as dangerous. But we don't really know what happens when people have several low concentration metals inside their body - which is the case for most of us. Or, as another example, consider CO2 atmospheric concentration. Today, all of us are exposed to an atmospheric concentration of more than 400 parts per million, considerably larger than anything our species has been breathing over the past million years, at least (ca. 280 ppm before the industrial age). As things stand, it is likely that we will reach at least 500 ppm - nearly double the values that our ancestors experienced. Now, apart from climate change and its related disasters, are these CO2 concentrations bad for our health? If so, how bad? How can we know? When we will discover that, it may well be too late. But these are cases in which we may at least suspect the presence of a gorilla somewhere, of some kind. There may be others so well hidden that we don't even imagine they could exist. Think of the ancient Romans. 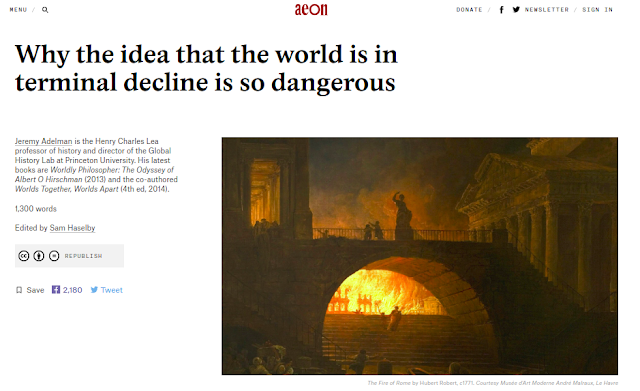 They never could understand what was hitting them: they completely lacked the intellectual tools that would have allowed them to understand the concept of "societal collapse." That gorilla was completely invisible to them. Not surprisingly, whatever they did to try to improve their situation (defensive walls, stronger armies, MRGA, and more) didn't help or backfired on them. Our situation is not so different - even though we have tools that the Romans couldn't even imagine, we are not doing any better. It doesn't help if a minuscule minority of enlightened people correctly see the problem: until the leaders don't get it, the gorilla will remain invisible. So, how can we see the gorilla? What I can say from my personal experience, is that when I show the clip above to people (my students, for instance) they have more difficulties in seeing the gorilla the more I can push them to focus on the ball. Conversely, if people are more relaxed they can easily see the gorilla. So, you need to be relaxed to see what you would otherwise miss. This is the trick they use against us. They inundate us with details, they keep our minds busy, new things arriving, one after the other... No wonder that we miss the overall picture - it is one of the many tricks of propaganda. And propaganda may well kill us all, including those who are using it against us. Are our leaders mad, stupid, or evil? Or all the three things together? Something made me rethink of some events which took place during the 2nd World War. In October 1940, Benito Mussolini, the leader of the Italian government, had ordered an attack on Greece. We don't know what went on inside Mussolini's head that made him think that it was a good idea to send the Italian troops to attack Greece in Winter, crossing the Epirus mountains in the snow. As it might have been expected, the Greeks resited and inflicted heavy casualties on the attackers. At this point, Mussolini had a big problem of image: his blunder was evident for everybody. He must have been furious and, among the various manifestations of his rage, one is noteworthy: the order he gave to the Italian Air Force to "destroy all Greek cities with more than 10,000 inhabitants." (It is reported, among others, by Roatta. This was tantamount to order a genocide of the Greek population, something that, alone, makes Mussolini one of the great war criminals in history. Fortunately, the Italian Air Force of the time was far from being able to do what Mussolini wanted it to do. But, still, his behavior shows that some leaders would rather order a genocide than see their personal reputation tarnished. It is also possible that Mussolini acted so recklessly because he knew that, whatever would happen, Greece had no possibility to respond in kind against Italy. Maybe the best (perhaps the only) way to deal with psychopats in power is to threaten them with retaliation. Below, a more detailed description of these events that I published on Cassandra's legacy last year. Evil Leaders: what makes their brain work? 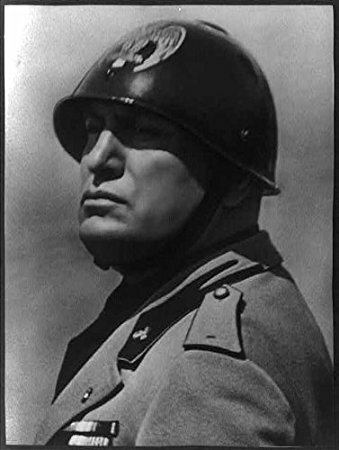 Benito Mussolini (1883-1945) led the Italian government from 1922 to 1943. During the final years of his career, he made a series of truly colossal mistakes that led to disaster for Italy and for him, personally. Was Mussolini mad? An idiot? Or brain damaged? We cannot say for sure, but the problem with the way the minds of leaders function seems to be more and more important in our times. An evident trend that we observe in history is that, in times of crisis, strong leaders tend to take over and assume all powers. It has happened with the Romans, whose government system moved from democracy to a military dictatorship managed by emperors. It seems to be happening to us, too, with more and more power being concentrated in the hands of the man (rarely the woman) at the top of the government's hierarchy. There are reasons for this trend. Human society, as it is nowadays, doesn't seem to show any sign of collective intelligence. It is not a "brain," it can't plan for the future, it just stumbles onward, exploiting what's available. So, in a certain way, it makes sense to put a real brain in charge. The human brain is the most complex thing we know in the whole universe and it is not unreasonable to hope that it could manage society better than a mob. The problem is that, sometimes, the brain at the top is not so good, actually it may be horribly bad. 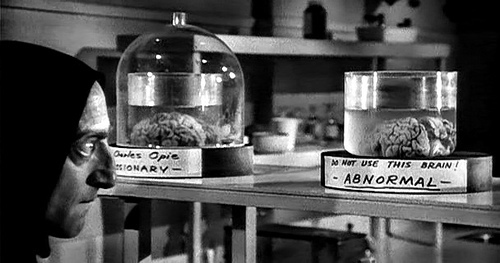 Like in the movie "Frankenstein Junior," even with the best of good will, we may put abnormal brains inside society's head. Dictators, emperors, warlords, big men, generalissimos, strongmen, tycoons, and the like often indulge in killing, torturing, and oppressing their subjects, as well as in engaging in unprovoked and ruinous wars, in addition to being sexual perverts. 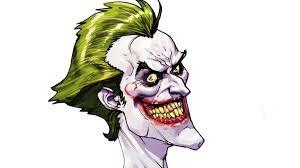 The final result is that they are often described as the prototypical evil madman character of comics or movies, complete with bloody eyes, wicked smile, and Satanic laughing. But simply defining leaders as "mad" or "evil" doesn't tell us what makes their minds tick. Could some of them be truly insane? Maybe brain-damaged? Or is it just a kind of personality that propels them to the position they occupy? These are very difficult questions because it is impossible to diagnose mental illness from one person's public behavior and public statements. Doing that is, correctly, even considered unethical for professionals (even though it is done all the time in the political debate). Here, I am not claiming to be saying anything definitive on this subject, but I think we can learn a lot if we examine the well known case of Benito Mussolini, the Italian "Duce" from 1922 to 1943, as an example of a behavior that can be seen as insane and, also, rather typical for dictators and absolute rulers. The mistakes that Benito Mussolini made during the last stages of his career of prime minister of Italy were truly colossal, including declaring war on the United States in 1941. Let me give you a less well known but highly significant example. 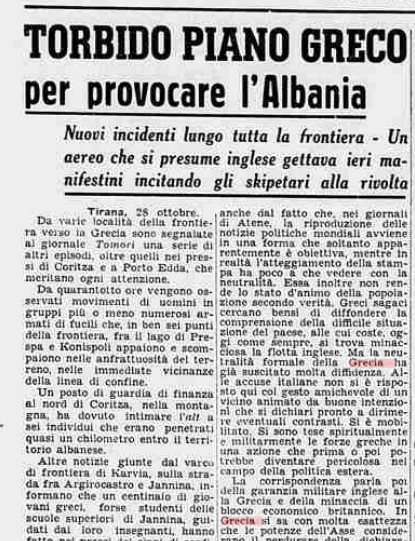 In October 1940, the Italian army attacked Greece from Albania, a story that I discussed in a previous post. That implied having to cross the Epirus mountains in winter and how in the world could anyone think that it was a good idea? Why not waiting for spring, instead? Unsurprisingly, the result was a military disaster with the Italian troops suffering heavy losses while stuck in the mud and the snow of the Epirus mountains during the 1940-41 winter, until the Germans came to the rescue - sensibly- in the following Spring. In a certain sense, the campaign was successful for the Axis because eventually Greece had to surrender. But it was also a tremendous waste of military resources that could have been used by Italy for the war effort against the British in North Africa. The blunder in Greece may have been a major factor in the Italian defeat in WWII. The interesting point about this campaign is that we have the minutes of the government reunions that led to the ill-fated decision of attacking Greece. These documents don't seem to be available on line, but they are reported by Mario Cervi in his 1969 book "Storia della Guerra di Grecia" (translated into English as "The Hollow Legions"). It is clear from the minutes that it was Mussolini, and Mussolini alone, who pushed for starting the attack at the beginning of Winter. During a reunion held on Oct 15, 1940, the Duce is reported to have said the date for the attack on Greece had been set by him and that "it cannot be postponed, not even of one hour." No reason was given for having chosen this specific date and none of the various generals and high level officers present at the reunion dared to object and to say that it would have been better to wait for spring to come. The impression is that Italy was led by a bumbling idiot surrounded by yes-men and the results were consistent with this impression. What made Mussolini behave in this way? There is the possibility that his brain was not functioning well. We know that Mussolini suffered from syphilis and that it is an illness that can lead to brain damage. But a biopsy was performed on a fragment of his brain after his death, in 1945, and the results were reasonably clear: no trace of brain damage. It was the functional brain of a 62 year old man, as Mussolini was at the time of his death. 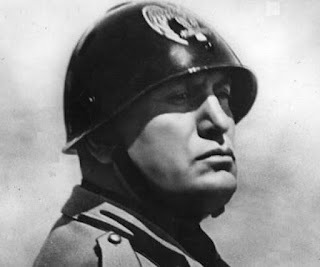 Mussolini is one of the very few cases of high level political leaders for whom we have hard evidence of the presence or absence brain damage. The quintessential evil dictator, Adolf Hitler, is said to have been suffering from Parkinson or other neurological problems, but that cannot be proven since his body was burned to ashes after his suicide, in 1945. After the surrender of Germany, several Nazi leaders were examined in search for neurological problems and, for one of them, Robert Ley, a post-mortem examination revealed a certain degree of physical damage to the frontal lobes. Whether that was the cause of his cruel behavior, however, is debatable. That's more or less what we have. It doesn't prove that evil leaders never suffer of brain damage but the case of Mussolini tells us that dictators are not necessarily insane or evil in the way comics or movie characters are described. Rather, they are best described as persons who suffer from a "narcissistic personality disorder" (NPD). That syndrome describes their vindictive, paranoid, and cruel behavior, but also their ability of finding followers and becoming popular. So, it may be that the NPD syndrome is not really a "disorder" but, rather, something functional for becoming a leader. The problem with this situation is that, everywhere in the world, NPD affected individuals aim at obtaining high level government positions and often they succeed. Then, ruling a whole country gives them plenty of chances to be not just incompetents, but the kind of person that we describe as "criminally incompetent." The kind of disaster that can result may be illustrated, again, by Mussolini's case. During the Greek campaign the Duce ordered the Italian Air Force to "destroy all Greek cities with more than 10,000 inhabitants" as reported by Cervi and by Davide Conti in his "L'occupazione italiana dei Balcani" (2008). Fortunately, the Italian air force of the time was not able to carry out this order. But what would happen if a similar order were given today by a leader who can control atomic weapons? False Flag Operations: How Common Are They? Something made me think that it could be appropriate to repropose here a post that I published on Cassandra's Legacy in 2015 on the "false flag" operation that the Mussolini government mounted in 1940 in order to justify the Italian attack on Greece. It is one of the few documented cases of a false flag operation carried out by a national government. The study of false flag operations is fascinating but, at the same time, difficult and even dangerous. One consequence is the extreme paucity of serious historical studies on the subject. A recent study that I may suggest to the interested reader is the one published by Maddox in 2016. Rich in data and examples, by reading it you will be able to note by yourselves how difficult it is to avoid a hefty dose of political correctness in this kind of studies, but so is life. At least, Maddox's study shows that false flag operations do exist, take a variety of shapes, and are relatively common in modern history. I was planning to write a little history of false flag operations but, as I worked on the subject, it became larger and larger and, at the same time, less and less defined, lost in a sea of misinformation, disinformation, conspirationism, and psyops. So, for the time being, I'll just summarize what I learned so far. The basic point, I believe, is that the modern kind of false flag operations is a recent phenomenon if we define it in terms of self-inflicted damage in order to justify retaliation. In my opinion, the first example of this kind of strategy is the "Gleiwitz Incident" carried out by the Germans in 1939 in order to justify their attack on Poland. There is a lot of misinformation associated with this story, but the basic historical facts seem to be well established. The mechanism of the operation is also clear: trasform aggression into self-defense by inflicting damage on one's own forces, or on the forces of an ally. The German Nazis were innovators in many fields, not just with tanks and missiles, but especially with propaganda. With the Gleiwitz incident, they created an example that was soon to be followed by Mussolini in Italy, as you'll read below. And it was later followed by many other governments, even though, as you move closer to the present times, the fog of war becomes thicker - as it has to be. As a final comment, I'd say that this kind of operations is an emergent property of modern democracy, a good example of all that's wrong with democracy as we intend it nowadays: the aggressive demonization of opponents, the brazen disregard of facts, hidden manipulation of the debate, strict enforcement of political correctness, and more. False flag operations are part of the larger phenomenon of "fake news" which, in turn, is part of the complex science which we call "perception management," once known as "propaganda". It is a "soft" technology but when coupled with "hard" ones such as nuclear weapons, it may well be the most dangerous technology ever invented. And, as usual, we tend to employ new technologies much before we understand their ultimate consequences. See also "The Empire of Lies"
The Italian attack against Greece, that started in October of 1940, was preceded by a textbook example of a "false flag" operation. Given the paucity of documented historical examples, I think it is worth discussing here a case of a false flag operationg that can be verified in some detail and which is not well known in English. It is the false flag operation that preceded the Italian attack against Greece, during the Second World War, carried out in 1940 under orders by the Mussolini government. The story of the Italo-Greek war is described in detail by Mario Cervi in his 1969 book "Storia Della Guerra di Grecia" (translated into English as "The Hollow Legions"). I won't go into the details in the story of how the Italian government decided to engage in this totally insensate campaign, focusing just on the "false flag" episode. We have ample documentation about this war from the Italian side. The minutes of the reunions of the high command of the Italian government were approved by Mussolini himself and then filed. These documents were kept and, today, they tell us many details about the origins of the decision to start the campaign and about the false flag operation that preceded the attack. The story starts with the occupation of Albania by Italy in 1939, which was a relatively easy military operation. From there, the Italian government started considering an attack on neighboring Greece as part of an effort to control the whole Balkan region. That involved a certain propaganda effort and, in 1940, the Italian press started reporting that the Albanian inhabitants of the region of Chamuria, part of the Greek territory, wanted secession from Greece in order to be reunited with Albania. But, of course, it was reported that they were facing a harsh repression carried out by the Greek government. The Italian viceroy of Albania, Francesco Jacomoni, provided reports - mostly purely invented - that fueled this propaganda operation. The "action" was delayed to Oct 26, but it took place as planned. According to Cervi, the Italian press reported that "A Greek band had attacked with automatic weapons and hand grenades an Albanian border post near Corizia and that the attack had been repulsed; that six of the attacking Greeks had been captured, and that the Albanian troops had suffered two casualties and three wounded." Cervi comments on this point that these Albanian victims had been "immolated, if they ever existed, on the altar of the ruthless needs of the state." Indeed, we cannot exclude that the attack was exaggerated, or even a pure invention. However, it is likely that some kind of attack did take place. The Greek authorities set up an investigating committee and claimed that they were not responsible for it, but never claimed that there had not been an attack. 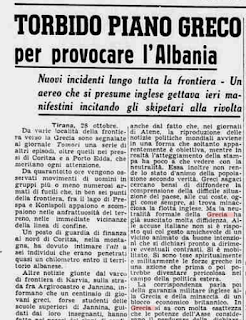 Below, an example of how the incident was presented in the Italian press ("La Stampa") on Oct 28, 1940. The title says "Murky Greek plan to provoke Albania." From these documents, we can learn that "false flag" operations were an accepted and obvious component of strategic actions at that time. Note how nobody challenged Mussolini about the need of carrying out such an operation. It all seemed obvious to everyone involved and that tells us that during the second world war, secret false flags were part of the strategic arsenal of at least some governments and were commonly used. Of course, this old false flag operation doesn't tell us anything specific about the many claimed false flags of modern times. It does, however, add a verified case to the number of known ones. Government conspiracies did exist in the past and it would surely be excessive optimism to think they don't exist anymore. In the future, we may know more about the events that have shaped so much of the perception of the conflicts of our times. The Trajan Column was built in order to celebrate the victories of the Roman Armies in the conquest of Dacia, during the 2nd century AD. It shows that the Romans knew and used propaganda, although in forms that for us look primitive. 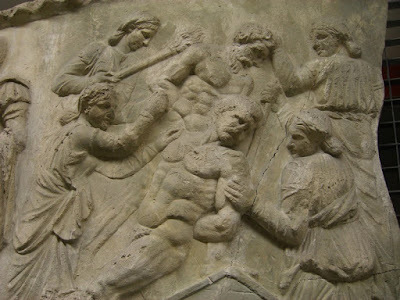 Here, for instance, an image on the column Dacian women torturing Roman prisoners in a brazen "perception management" operation. In those times, just as in ours, a dying empire could be kept together for a while by lies, but not forever. At the beginning of the 5th century AD, Augustine, bishop of Hippo, wrote his "De Mendacio" ("On Lying"). Reading it today, we may be surprised at how rigid Augustine was in his conclusions. A Christian, according to him, could not lie in any circumstances whatsoever; not even to save lives or to avoid suffering for someone. The suffering of the material body, said Augustine, is nothing; what's important is one's immortal soul. Later theologians substantially softened these requirements, but there was a logic in Augustine's stance if we consider his times: the last century of the Western Roman Empire. By the time of Augustine, the Roman Empire had become an Empire of lies. It still pretended to uphold the rule of law, to protect the people from the Barbarian invaders, to maintain the social order. But all that had become a bad joke for the citizens of an empire by then reduced to nothing more than a giant military machine dedicated to oppressing the poor in order to maintain the privileges of the rich. The Empire itself had become a lie: that it existed because of the favor of the Gods who rewarded the Romans because of their moral virtues. Nobody could believe in that anymore: it was the breakdown of the very fabric of society; the loss of what the ancient called the auctoritas, the trust that citizens had toward their leaders and the institutions of their state. Augustine was reacting to all this. He was trying to rebuild the "auctoritas", not in the form of mere authoritarianism of an oppressive government, but in the form of trust. So, he was appealing to the highest authority of all, God himself. He was also building his argument on the prestige that the Christians had gained at a very high price with their martyrs. And not just that. In his texts, and in particular in his "Confessions" Augustine was opening himself completely to his readers; telling them all of his thoughts and his sins in minute details. It was, again, a way to rebuild trust by showing that one had no hidden motives. And he had to be strict in his conclusions. He couldn't leave any openings that would permit the Empire of Lies to return. Augustine and other early Christian fathers were engaged, first of all, in an epistemological revolution. Paulus of Tarsus had already understood this point when he had written: "now we see as in a mirror, darkly, then we'll see face to face." It was the problem of truth; how to see it? How to determine it? In the traditional view, truth was reported by a witness who could be trusted. The Christian epistemology started from that, to build up the concept of truth as the result divine revelation. The Christians were calling God himself as witness. It was a spiritual and philosophical vision, but also a very down-to-earth one. Today, we would say that the Christians of late Roman times were engaged in "relocalization", abandoning the expensive and undefendable structures of the old Empire to rebuild a society based on local resources and local governance. The age that followed, the Middle Ages, can be seen as a time of decline but it was, rather, a necessary adaptation to the changed economic conditions. Eventually, all societies must come to terms with Truth. The Western Roman Empire could not do that, It had to disappear, it was unavoidable. Today, every statement from a government, or from an even remotely "official" source, seems to generate a parallel and opposite statement of denial. Unfortunately, the opposite of a lie is not necessarily the truth, and that has originated baroque castles of lies, counter-lies, and counter-counter lies. Think of the story of the 9/11 attacks in New York. Somewhere, hidden below the mass of legends and myths that have piled up on this story, there has to be the truth; some kind of truth. But how to find it when you can't trust anything you read on the Web? Or think of peak oil. At the simplest level of conspiratorial interpretation, peak oil can be seen as a reaction to the conspiracy of oil companies that hide the depletion of their resources. 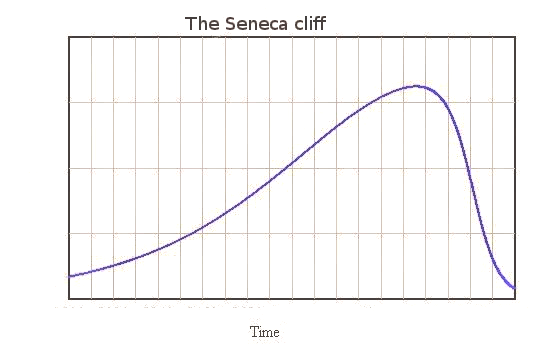 But you may also see peak oil as a scam created by oil companies that try to hide the fact that their resources are actually abundant - even infinite in the diffuse legend of "abiotic oil". But, for others, the idea that peak oil is a scam created in order to hide abundance may be a higher order scam created in order to hide scarcity. Even higher order conspiracy theories are possible. It is a fractal universe of lies, where you have no reference point to tell you where you are. Eventually, it is a problem of epistemology. The same that goes back to Pontius Pilate's statement "what is truth?" Where are we supposed to find truth in our world? Perhaps in science? But science is rapidly becoming a marginal sect of people who mumble of catastrophes to come. People whom nobody believes any longer after they failed to deliver their promises of energy too cheap to meter, space travel, and flying cars. Then, we tend to seek it in such things as "democracy" and to believe that a voting majority somehow defines "truth". But democracy has become a ghost of itself: how can citizens make an informed choice after that we discovered the concept that we call "perception management" (earlier on called "propaganda")? Going along a trajectory parallel to that of the ancient Romans, we haven't yet arrived at having a semi-divine emperor residing in Washington D.C., considered by law to be the repository of divine truth. And we aren't seeing yet a new religion taking over and expelling the old ones. At present, the reaction against the official lies takes mostly the form of what we call "conspiratorial attitude." 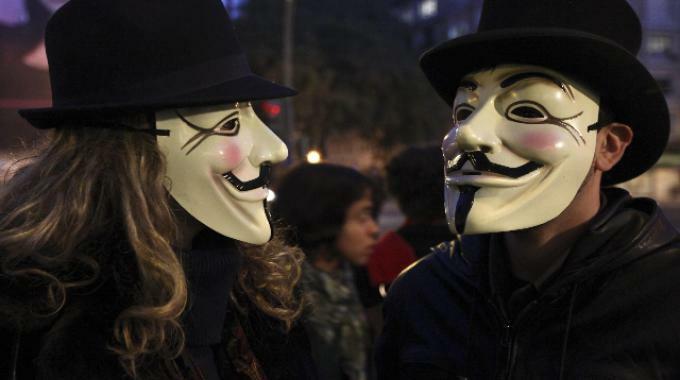 Although widely despised, conspirationism is not necessarily wrong; conspiracies do exist and much of the misinformation that spreads over the web must be created by someone who is conspiring against us. The problem is that conspirationism is not a form of epistemology. Once you have decided that everything you read is part of the great conspiracy, then you have locked yourself in an epistemological box and thrown away the key. And, like Pilate, you can only ask "what is truth? ", but you will never find it. Is it possible to think of an "epistemology 2.0" that would allow us to regain trust in the institutions and on our fellow human beings? Possibly, yes but, right now, we are seeing as in a mirror, darkly. Something is surely stirring, out there; but it has not yet taken a recognizable shape. Maybe it will be a new ideal, maybe a revisitation of an old religion, maybe a new religion, maybe a new way of seeing the world. We cannot say which form the new truth will take, but we can say that nothing new can be born without the death of something. And that all births are painful but necessary. Saving the World: Top-Down or Bottom-Up? A Review of the Latest Report to the Club of Rome, "Come On"
Nearly half a century has passed since the publication, in 1972, of the first – and still the most famous – report of the Club of Rome, “The Limits to Growth.” That first report was heavily criticized but, nowadays, it is turning out that it had correctly identified the main lines of the trajectory that the human industrial society was to follow and is still following. To the authors of this report and to their mentor, Jay Forrester, goes the merit of having identified for the first time the critical problem that we are facing nowadays, that of “overshoot”, exceeding the limits that the planetary ecosphere can sustain and forcing humankind to a return within the limits that could be painful or even disastrous. Today, the Club of Rome keeps following its tradition of studying the long-term prospects of humankind facing the twin challenges of resource depletion and climate change. 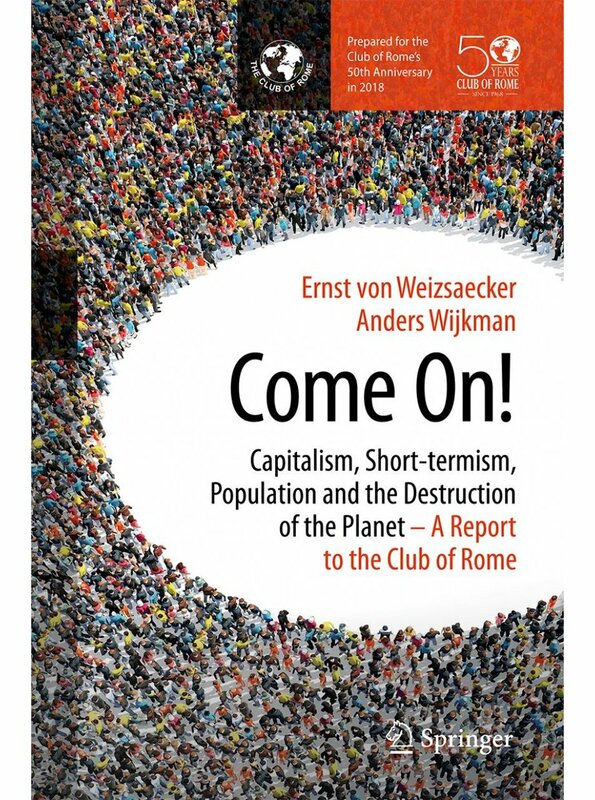 The latest report of the Club on these matters is “Come On” by Anders Wijkman and Ernst Von Weizsacker, published with Springer in 2017, in occasion of the 50th anniversary of the foundation of the Club. Clearly, this is a book which has been thoroughly planned and carefully created. The text is divided into three parts: 1) A review of the currently unsustainable trends, 2) A review of how to look at the situation 3) A discussion of solutions designed to avoid disaster. It is a sort of Aristotelian syllogism structure. The first part, the review of the current trends, is – in my opinion – the best part of the book. It is a well thought-out review which doesn’t shun from facing some politically unnameable subjects, such as that of overpopulation and of the need to stop its growth. The unsustainable nature of the current agricultural system is also discussed in detail here. 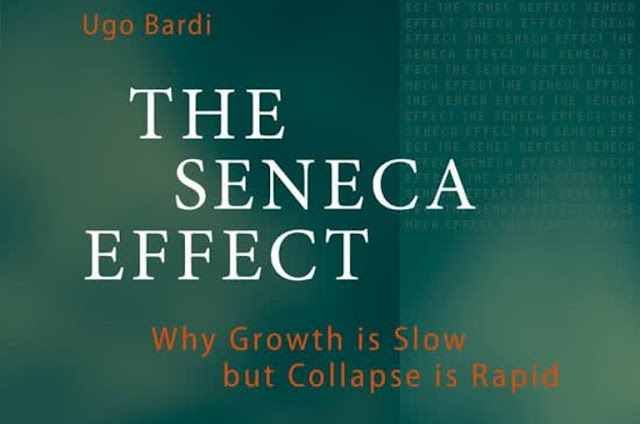 This section is also an excellent summary of the results of the first version of “The Limits to Growth” and how the scenarios of that early work have played out in our world. The “Come on!” here, refers to how obvious all this should be, but it isn’t in the current debate. The second part of the book is a review of the theories and models currently used to understand the situation in which we find ourselves. This section provides a description of religious views of the relation of humankind with the world, starting with the Pope’s encyclical letter “Laudato si” and then moves to a detailed criticism of the current economic theories. It includes also a very interesting section on the moral imperative of change and on the need of a “new enlightenment” rather than a “new rationalism.” It is correctly recognized that a purely rational choice is often framed in a short-term vision and it may lead to effects opposite to those intended. In this second section, the “Come On” is referred to the need of not sticking to outdated but still current philosophies, especially in economics. It is what the authors call a "mind shift," that we may describe in terms of the often mentioned (although probably apocryphal) quote by Albert Einstein, "we cannot solve problems with the same thinking that created them.” This is the context in which the quest for a new enlightenment should be seen. A fundamental element of this vision is the circular economy, returning to the ecosystem what we took from the ecosystem. It is a concept that's making inroads in the debate, but much work remains to be done to make it real and not just an empty slogan. Finally, the third part of the book. This is the most ambitious section, indeed it is as long as the first two summed together. It is also the most difficult and complex: what to do, in practice? Here, the authors face a problem that has affected the Club’s analysis over the past 50 years: who should act to save humankind from destruction? As we all know, this approach has not worked. Peccei was misunderstood and the Club of Rome was accused of planning a world dictatorship and all sorts of nefarious actions, including even a new holocaust designed for population control. It was all false. As you can read in my book "The Limits to Growth Revisited," it was just propaganda, but it turned out to be effective in demonizing the Club of Rome and protecting the special interests of various lobbies. But then, what to do? 50 years after that first report, the authors of “Come On” describe a different approach, basically focused on the “bottom-up” strategy. This choice appears most clearly in the third section of the book, which is dedicated to practical, implementable solutions, such as agro-ecology, the blue economy, regenerative urbanization, benign investments, and much more. The basic idea is always the same: do not force people not to do something with laws coming from a government (top-down). Encourage them to choose to do something for their own benefit (bottom-up). For instance, instead of forcing people to emit less CO2, encourage them to use technologies which don’t emit it and that make people save money. Or help people seeing the economic advantages of waste recycling. Or show them how they can save money by using the public transportation system instead of private cars. Here, the "Come on" statement refers to pushing people to overcome their inertia and stop sticking to their old ways simply because they never thought there were other ways of doing the same things. The third chapter goes on for about 100 pages and I won’t try to summarize it here – it is surely worth reading for the wealth of ideas it carries. But will this approach work? The answer remains unclear. If we compare the "top-down" and the "bottom-up" approaches, we see that neither has done much to stop the ongoing unsustainable trends. Decades of attempts of setting up top-down international treaties to reduce, for instance, the overexploitation of resources has brought very little in terms of results - for instance, the CO2 emissions keep increasing. On the other hand, the bottom-up approach is successful in some areas, but not with most people. Just as an example, it would seem strange that people buy the expensive and useless vehicles called "SUVs." It is not a rational choice, one feels like telling SUV owners something like "come on, why are you wasting your money in this way?" Yet - today - about one car in three sold in Western countries is an SUV. The fact that some people choose to use bicycles, instead, doesn't change the situation. All this doesn't mean that the world is not changing, just that it is not changing fast enough (and this can be quantitatively demonstrated). It means, also, that we have to keep pushing for the change to occur in the right direction. Probably, neither a purely bottom-up nor a purely top-down approach can save humankind. We need an integrated approach. The "Come on" book is a step in the right direction. This piece by Jeremy Adelman is not worth of a detailed rebuttal, but I think it is deserves to be read as a literary piece. Truly brilliant, read it for its magniloquent sound, for instance, "Declinists have a big blindspot because they are attracted to daring, total, all-encompassing alternatives to the humdrum greyness of modest solutions." But, apart from the daring, total, all-encompassing, etc, what is that Adelman finds so "dangerous" in declinism? Curiously, the term "dangerous" is used only in the title but never in the text. So, the whole danger of declinism seems to be that it can "impoverish our imagination." Honestly, that doesn't seem to be so dangerous. All his literary brilliance seems to have led Mr. Aldeman to forget what he was supposed to say. 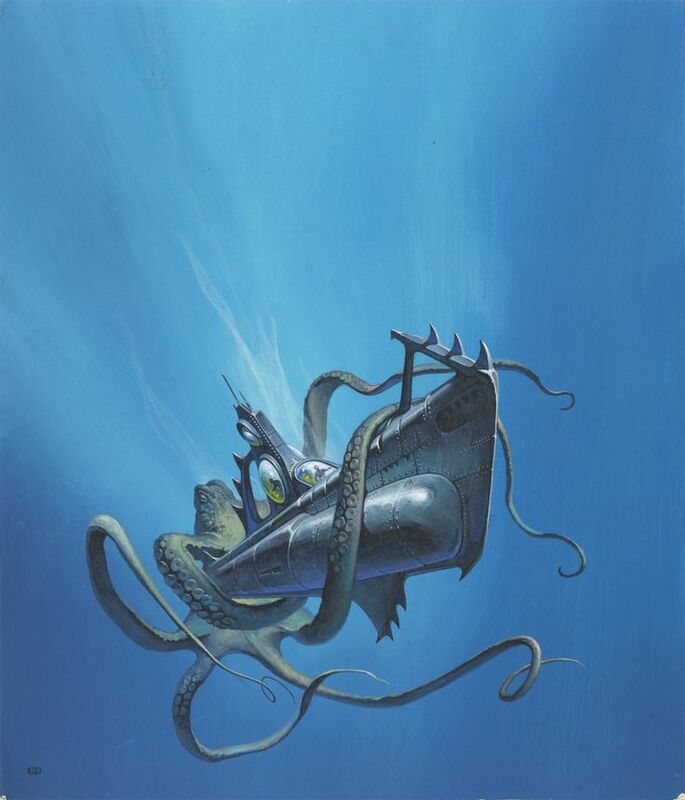 The death of the dinosaurs as shown in the 1940 movie "Fantasia" by Walt Disney. An incredibly powerful and moving scene - a true Seneca ruin for the poor creatures walking in a hot and dry landscape. This scene is also reasonably realistic: at that time it was already clear that heat had caused the mass extinction that killed the dinosaurs (although a branch of the group survived in the form of birds). The same threat that we face nowadays: global warming generated by an enhanced greehouse effect. 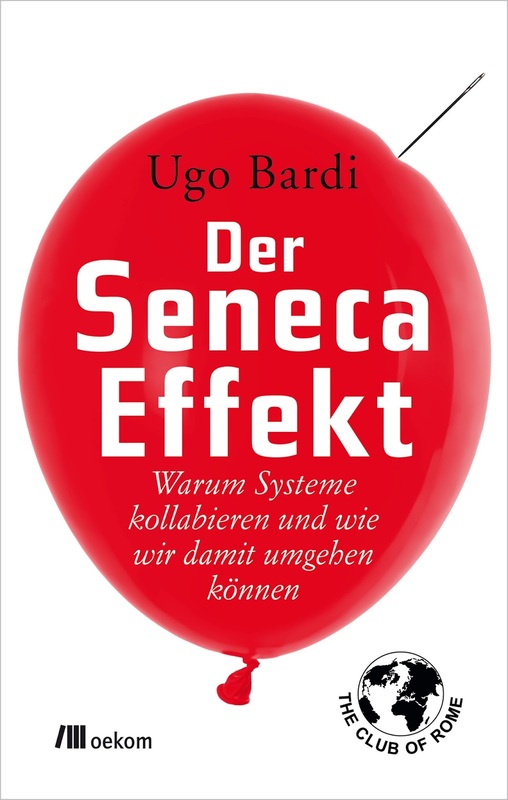 I was in Berlin on March 26th to present my book, "The Seneca Effect" to the Urania Scientific Society. It was not a presentation for scientists but for the general public and I decided to have some fun by presenting an assorted series of catastrophes. That included the demise of the dinosaurs, showing a scene from Disney's "Fantasia" movie, and the nearly obligatory scene of the collapse of the towers of the world trade center. Of course, my talk was not just a list of collapses, one after the other. I tried to highlight the physical reasons behind the catastrophes, how the collapse of complex systems tends to follow some laws, although it cannot be described in terms of simple mathematical equations. The basic theme of the book is that there is a common core in all these cases and that the collapse of social systems, such as the Roman Empire, can be described in terms similar to those of the blowing up of a balloon. Not everybody agrees with me on this point, some people say that humans are different, they are masters of their destiny, and that human ingenuity can overcome the laws of physics - at least in some cases. I agree that it is a controversial point, but I noted that my talk was well received by an audience of nearly 100 persons - not bad for a Monday evening (and they had to pay a ticket, too!). Germany is one of the few countries in the world where you can still discuss matters such as mineral depletion and the concept of resource overexploitation. With the exception of France, in the rest of the Western world it seems to me that these matters are by now taboo. Not really forbidden, but actively marginalized and ignored. There was also a lively discussion after my talk. It is always a pleasure to note how Germany has maintained at least something of the inheritance of a great man as Alexander Von Humboldt, today nearly forgotten everywhere else in the world. But Humboldt had caught not only the infinite variety but also the beauty of complex, natural systems. Berlin is also a lively city and I found the time for a rapid visit to the aquarium. I've always loved aquariums, but I went there also for professional reasons. As you know, we have been studying the overexploitation of fisheries as examples of the collapse of economic systems and it was curious to note how the ongoing destruction of the fisheries is having consequences also on what's being shown in aquariums. 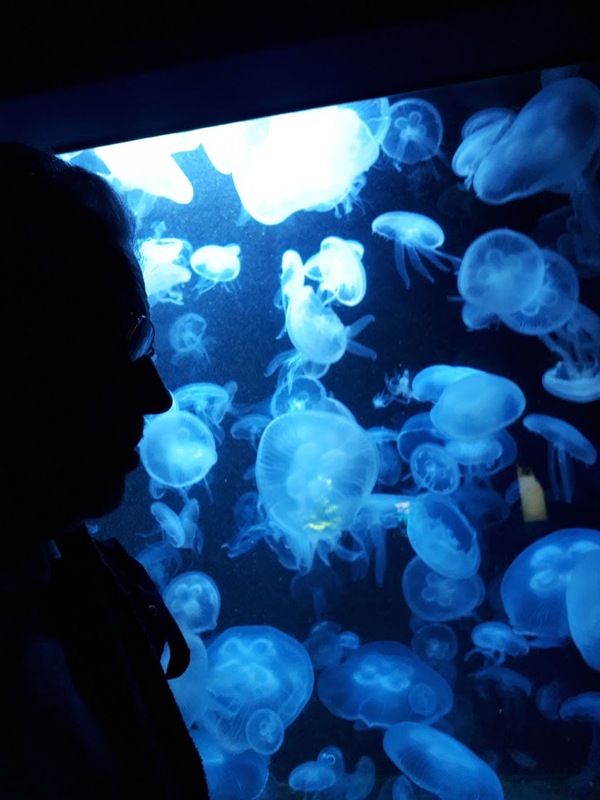 Here is a picture of me looking at a tank of jellyfish. I was amazed: it was the first time I saw live jellyfish in a tank. I don't think they were shown in aquariums until recent times, but now their population has exploded as the result of the destruction of their predators, fish. So, they seem to be appearing also in aquariums. From the viewpoint of jellyfish, humans must look like benevolent deities, even though that doesn't save us from being stung when we swim in the sea. Jellyfish are eerie, beautiful creatures, but also the prototypical image of the "alien". 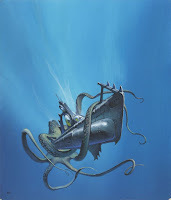 They are not yet big enough that they can attack submarines but, if things keep going the way they have been going, who knows? The world seems to be changing faster and faster, and this may not be a good thing. 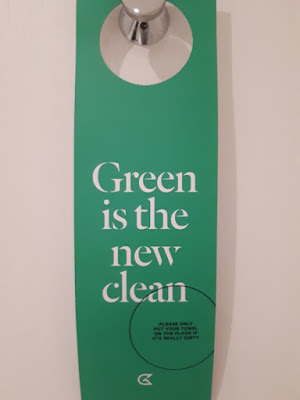 To conclude, a little satori on my part, when I saw this sign on the door of the bathroom of my hotel room, in Berlin. 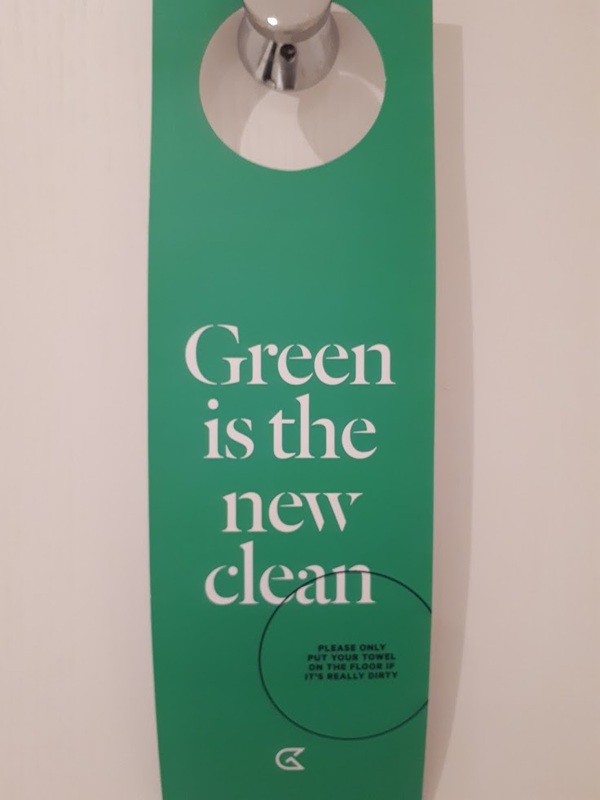 After seeing this n-th invitation (all hotels have it) to save the world by having my towels washed a little less often, I concluded that we'll never make it. Humboldt, Jellyfish, Seneca, dinosaurs, or whatever, it is always greenwashing that wins. The presentations will be in Italian, everyone interested is welcome! Below, a more detailed description of the event. (*) I think that "president" is the best translation for the role that in Italian we call "rettore"
Mr. Matteo Salvini (left) and Mr. Luigi Di Maio (right) leaders, respectively, of the Italian Northern League and of the 5-star movement. The two Italian political groups which gained the most votes in the recent elections have recently formed a coalition government which is enacting sweeping reforms of the Italian financial system. The recently formed Italian coalition government, an alliance of the Northern League and the 5-Star Movement, enacted a sweeping series of measures sure to raise the attention of the world. First and foremost, the Italian government declared Italy to be officially out of the Eurozone. With immediate validity, the Euro ceases to be an accepted currency in Italy. Private citizens and businesses using it or accepting it are liable of criminal charges. Secondly, the government created a new, fully virtual, currency. This new currency does not exist in the form of cash, but only as virtual accounts. This aspect makes it similar to the well known "bitcoin" but, unlike the bitcoin, it can be issued by the government only. The new currency is termed "E-coin," where the "E" stands for espresso. From now on, the government will pay its debt, as well as the salaries of government employees, and all its expenses in the form of espresso coins. 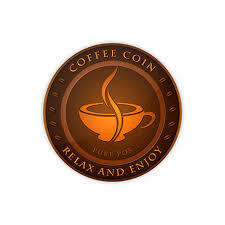 Each e-coin is fully redeemable in an espresso coffee issued by any of the government authorized exchange points, formerly called "bars", now renamed "E-banks" (espresso banks). Coffee brewing by private citizens (cryptocoffee) has been declared illegal. 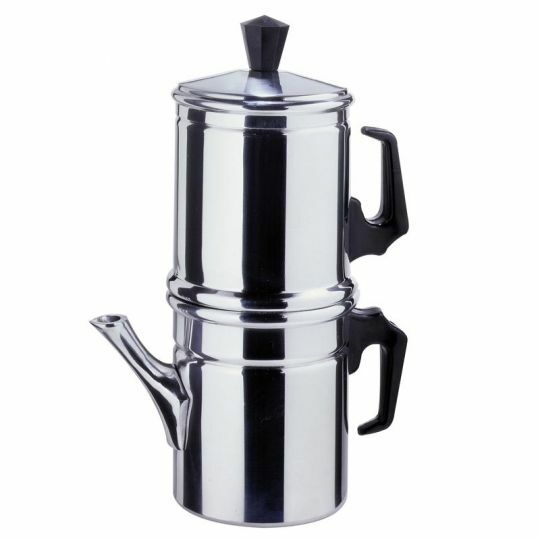 The government has intimated citizens to surrender all their coffee-making equipment, including the well known "Neapolitan Flip" model. Overnight, the bank accounts of all private citizens, companies, and institutions in Italy have been turned from the Euro denomination to the E-coin denomination, at a 1:1 exchange ratio. Some concern is recorded among citizens since by law the new e-coins can only be redeemed if the espresso coffee is immediately consumed on the spot. This is believed to pose some problems in case of large E-coin sums, especially for people suffering from tachycardia or other hearth problems. 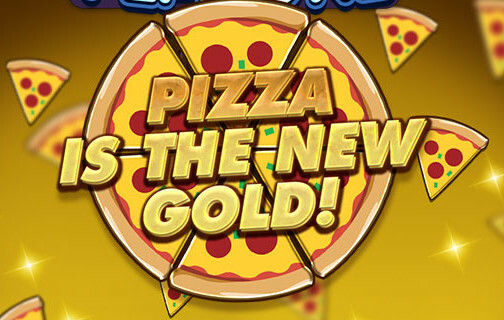 The government has reacted to this concern by a second form of virtual currency which is going to be launched in the coming days under the name of "P-coin" (pizza coin), an idea that seems to have been derived from some earlier experimentation. One P-coin is fully redeemable in a pizza margherita or napolitana, to be consumed on the spot. By government decree, all restaurants in Italy are by now termed "P-banks" (pizza banks). The Italian government has also declared to be working on a third type of coin, termed the "F-coin". It has not been specified what the "F" stands for and what kind of goods or services this new coin will be redeemable in. Government spokespersons did not confirm some ongoing speculations. At the international level, the move of the new Italian government has raised much interest and some concern. In terms of positive reactions, the president of the United States, Donald Trump, has praised the Italian initiative and declared that he is personally interested in the "F-coin." 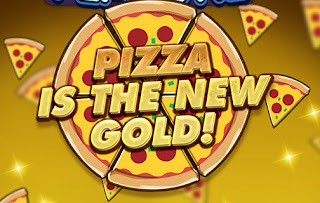 Mr Trump has also declared that his government is working on the concept of a "P-coin," where "P" does not stand for "pizza." On the contrary, some European leaders have expressed concern that the diffusion od coffee or pizza based currencies may lead to a "Mediterraneanization" of Europe. Ms. Angela Merkel, prime minister of Germany, has declared that her government is working on the concept of "B-coin", redemable in a pint of beer, whereas the French government is reported to work on the "Fr-Coin", redeemable in a frog, raw or fried. Ms. Theresa May, leader of the UK government, has also declared that the country may move on a F-coin, although the term is reported to be temporarily standing for "foo" while a suitably redeemable Brexit-compatible food or beverage is being actively searched for.